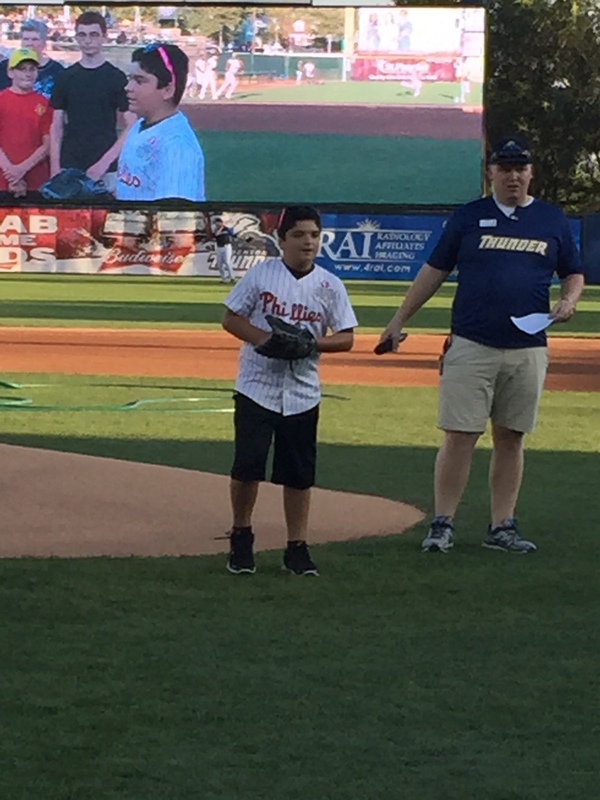 Men’s Club sponsored Jewish Heritage Night at the Trenton Thunder and one of our Hebrew School students threw out the first pitch! Explore our “own spirituality” and make a “safe place” where we may talk about male issues as Jewish men. Give men a place for enhancing Jewish pride. Create opportunities for male camaraderie through social and athletic programming. Provide programs on Jewish ethics in the workplace, programs on Men’s health issues, and programs that treat men to be better fathers and husbands. 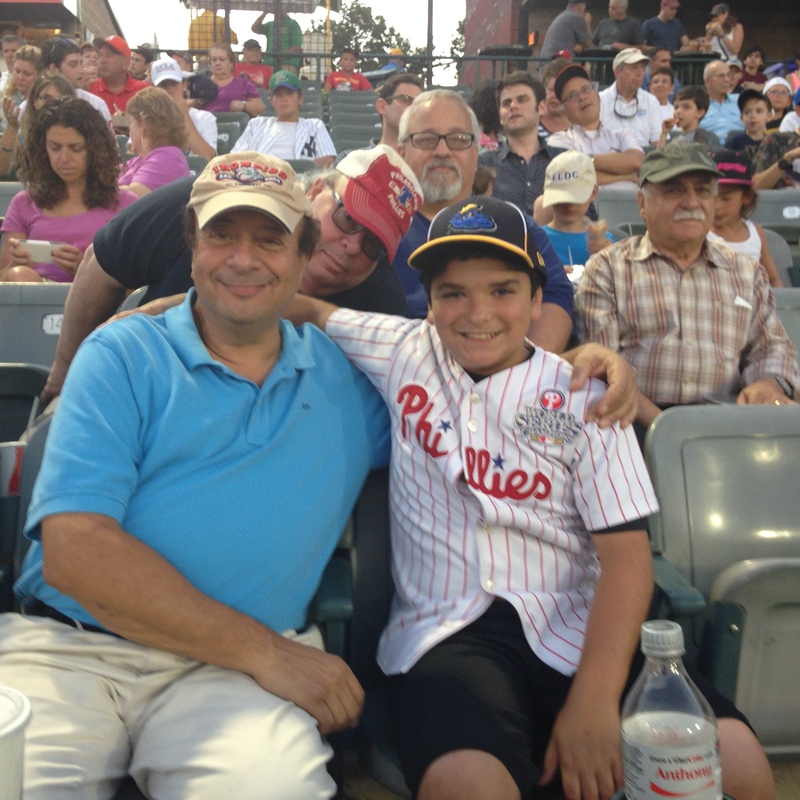 We are members of the FJMC (Federation of Jewish Men’s Clubs) which allows us to take advantage of the programs that they have developed. This includes the World Wide Wrap, the Yellow Candle Yom HaShoah project, Regional Retreats, and “Hearing Men’s Voices”. 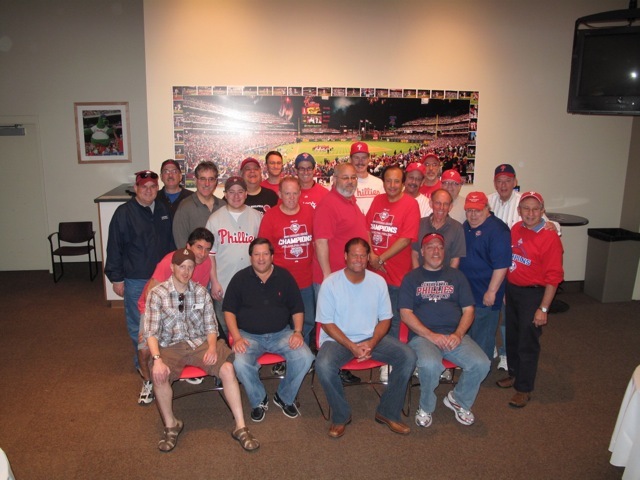 Our programs in the past have included our famous Sunday Morning breakfasts with speakers such as the FBI hostage rescue team, Dom Giordano, radio talk show host from 1210 WPHT, Harry Donahue, news and sportscaster from WKYW radio, Hurricane Schwartz, TV meteorologist, Mark Zumoff and Merrill Reese, Voice of the Sixers and Eagles, Mike Missanelli, from the Fan, 97.5, Jody McDonald and numerous other interesting and entertaining speakers. 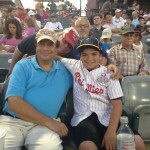 We have gone to see the Phillies where we met Darren Daulton, as well as Flyers and Temple Basketball games. And our membership dinners have included personalities such as Big Daddy Graham and Joe Conklin. Through donations of money as well as time, the Men’s Club has supported the Synagogue. 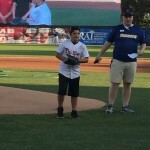 We have sponsored and prepared synagogue luncheons for the scholar in residence weekends and we have paid for uniforms for our award winning first place Softball Team and Youth Basketball Teams. Our yellow candle project raises money for Holocaust related programs, such as the Hei class trip to the Holocaust Museum, and we give a monetary gift to all of the children of synagogue members who go to Israel on an organized trip. We also provide bar and bat mitzvah gifts as well as gifts for our Confirmants and other student educations gifts for our young people. Membership dues for the year 2012 and 2013 are $ 45.00. Dues help support the social, religious, cultural, educational and sports programs as well as the gifts mentioned above. We welcome participation from all of the men who belong to the synagogue, as well as those in the community. If you have friends who are not members of Ohev Shalom, but who want to belong to a great organization, we would be delighted to welcome them into our fold. Your board is always looking for suggestions, for things of interest to our membership, whether it is ideas for speakers or activities. Donations to worthy organizations are of prime interest to our organization, and your suggestions on such groups are welcomed.